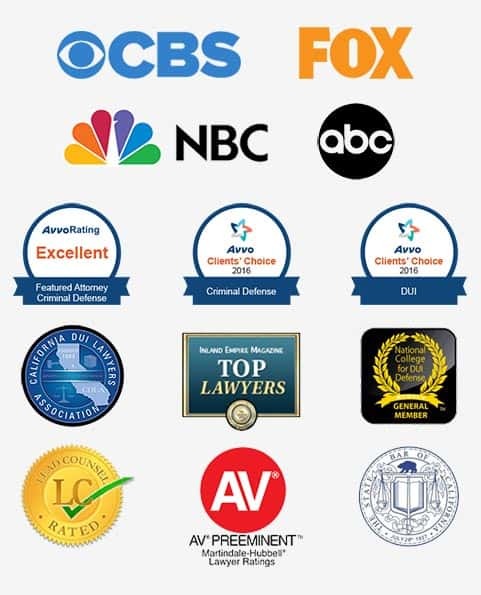 My Rights Law Group and its criminal defense lawyers have been defending clients against theft-related charges in the Los Angeles, San Bernardino, Riverside and Orange Counties. It has been our experience that often times it is the typical man-next-door who may have made exercised bad judgment and found himself charged in with this crime. It is not unusual for this person to treated as a criminal although they may be an outstanding citizen in their society, a soccer coach, a team mom, or even a local banker, who made the unfortunate mistake of unintentionally committing an act that resulted in the crime charged. Often times it is misleading or even false information that leads to an arrest. Perhaps you were falsely accused of a crime. Crimes related to theft can include Embezzlement, Auto Burglary, Grand Theft and Grand Theft Auto, Petty Theft, Receiving Stolen Property, Appropriation of Lost Property and Burglary. A conviction of the theft crimes named above are considered to be “crimes of moral turpitude” and also may result in being denied certifications as or licensing because of the association of stealing. Many potential employers fear that the individual may continue to steal or may not have learned his lesson. Convictions of these crimes can have a grave impact on your record, with unfavorable results when being considered for employment, especially in state and local government positions. Auto Burglary: In California, Auto Burglary is simply described as the unlawful entering and/or breaking into a locked vehicle for the purpose of stealing it. Carjacking: In California, if somebody uses force or fear to make you turn over possession of your vehicle, they are committing a “car-jacking”. When you car is stolen from you, it is known as a “car-jacking”. Burglary: In California, the entering into a structure with the intent to commit a felony or any theft inside constitutes burglary. Residential Burglary: This crime involves the entering into a structure that is a home or “inhabited dwelling,”. A conviction of this crime may result in a “strike” pursuant to California Three Strikes Laws. Embezzlement: In California, the crime of embezzlement is the act of stealing or misappropriating property that was entrusted to you by the owner. Grand Theft Auto: In California the theft of an automobile is known as “grand theft”, irrespective of the value of the vehicle. Grand Theft: One of few crimes that may be filed as a Felony or as a Misdemeanor, sometimes referred to as a Wobbler. By definition, Penal Code 487, is the stealing of property valued at more than nine hundred fifty dollars ($950). Grand Theft of a Firearm: Any theft of a firearm is considered “grand theft” and is a felony. The cost or value of the firearm is not considered when charged with this offense. Petty Theft: The crime of Petty Theft best is described as the unlawful taking or stealing of property valued up to $950. It should be noted that although this crime is generally a misdemeanor, a second offense of Petty Theft can be charged as a felony pursuant to Penal Code 666 (Petty Theft with a Prior). Receiving Stolen Property: Purchasing or receiving property that one knows or reasonably should have known, to be stolen. Robbery: In California, this crime is committed when one uses force, threats or violence to take property from another person. A conviction of Robbery counts as a strike under California Three Strikes Laws. Theft crimes come with the possibility of substantial penalties and they vary based on the specific charge. It is critical with these types of charges to have a criminal defense attorney on your side. Call our office for a free confidential consultation today (877) 705-3425.